Yay, Intel have extended their overclockable K-series chips down into the cheaper i3 end of the market. The Kaby Lake Core i3 7350K is the first fully unlocked i3 chip, offering seriously high clockspeeds at the budget oriented end of the market. That’s gotta be a win for us gamers, right? Nope, even at a little less than $149 (£133) it arguably just makes things more confusing. 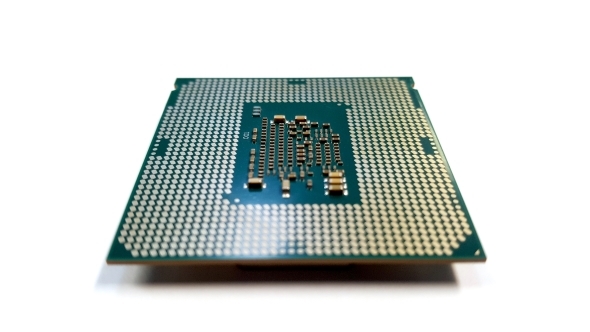 Want to know what the top processor is right now? 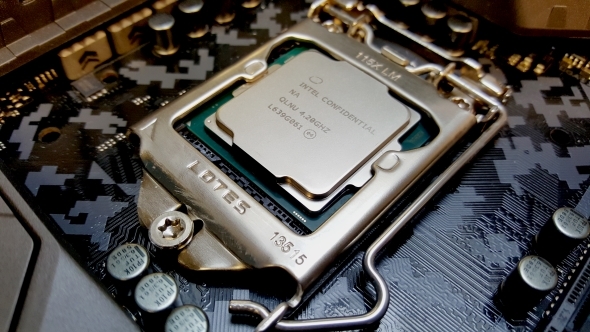 Check out our guide to the best CPUs for gaming. In creating a multiplier unlocked Core i3 it looked like Intel were taking a step back to the good ol’ days of being able to buy a low-end chip and clock the twangers off it to get it gaming like a more expensive CPU. Sadly it doesn’t look like that’s what’s happening with the Core i3 7350K, mostly because despite its Core i3 status it’s got a K-series price premium which bumps its head against the pricing of the more feature complete Core i5 silicon. Click on the quick links below to make your way to your section of choice. 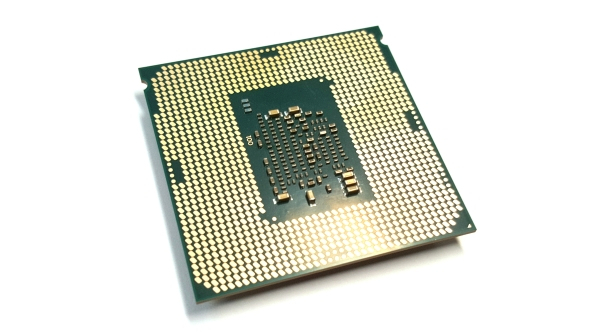 The i3 7350K is a dual-core chip with Intel’s HyperThreading technology in place to double the concurrent thread count available to your machine. That doesn’t quite make it as capable as a full quad-core processor, but in heavily multi-threaded applications it makes a massive difference when compared with resolutely dual-core CPUs without Intel’s HyperThreading tech. It doesn’t though come with Intel’s Turbo frequency, which automatically pushes the clockspeed up dependent on load, but given the i3 7350K comes with a 4.2GHz base clockspeed it’s already running pretty quick out of box already. As it’s one of the new 7th Generation Core processors – the artists formerly known as Kaby Lake – it’s based on the same mildly enhanced 14nm transistor lithography. That also means it sits in the same LGA 1151 socket the previous Skylake CPU generation inhabits and can slot easily into either an old 100-series or newer 200-series motherboard. You may need a little BIOS update on your older board, but that should be about the extent of any installation difficulties. And as a Kaby Lake CPU it also comes with the added bonus of being one of the few PC chips that will let you get access to the limited range of 4K video content on either Netflix or Amazon, thanks to its 10-bit HEVC decoding support. All super-exciting stuff, eh? The reason the i3 7350K has garnered a few excited headlines though is because of its unlocked CPU multipliers. We haven’t seen an overclockable low-end chip since the Haswell-based dual-core G3258 Pentium Anniversary edition tipped up. Its 3.2GHz base clockspeed could be boosted up to 4.6GHz without much effort at all. For a $70 (£60) CPU it was quite a remarkable little gaming chip. With this unlocked K-series i3 you should be able to set an increased multiplier in the BIOS then sit back and watch it boot into a new, overclocked world of super-high operating frequencies. But this is a very different chip compared with the celebratory Pentium Anniversary processor. The base performance of the K-series i3 is pretty much what you might expect from a dual-core, quad-thread processor. In short, pretty weak. 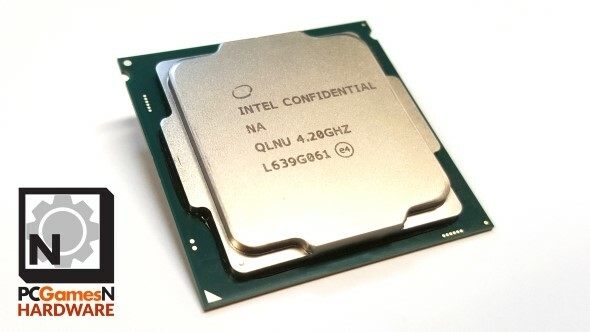 The high 4.2 GHz clockspeed gives it some hope for single-threaded tasks, but when you throw any multi-threading capable software its way the 7350K comes in well behind the similarly-priced quad-core i5 7400. We knew that would be the case, but I was hoping the 7350K’s 4.2GHz clockspeed would give it a bit of an edge in the gaming performance stakes. Even with it’s almost 1GHz lower frequency, however, the straight quad-core i5 is still able to post higher gaming frame rates. Even in the 3DMark tests the Core i5 7400 delivers higher index scores. Where its base performance can deliver though is on the storage side, where the Core i3 is able to almost keep pace with the top-end Core i7 7700K while the far lower clocked Core i5 languishes way behind both in read/write and real-world performance. That’s all to be expected though, where the i3 7350K ought to come alive as a gaming chip is in the overclocking stakes. I was given hope by the impressive Core i5 7600K’s OC performance, where I was able to push beyond the 5GHz limits without much difficulty. Like the 7700K though the 7350K is only capable of hitting 4.9GHz stably, some 700MHz higher than its base clockspeed. While that is still a pretty respectable overclock, pushing the single-threaded performance in Cinebench up to 204 against the Core i5 7400’s index score of 146, it still doesn’t do enough to push its gaming performance past the competition. With the Core i5 chip running some 1.4GHz slower than the 7350K it still manages to hit almost identical gaming frame rates while chewing through a chunk less raw power and with nearly half the peak operating temperature. I’m confident you’ll find some Core i3 7350K samples that are able to operate stably at even higher clockspeeds, but I’m now convinced that’s not going to make any more tangible difference in-game. The problem for the first K-series i3 became clear as soon as Intel finalised their pricing for what could have been the best budget gaming CPU around. I spoke to a couple of system builders before the Kaby Lake launch about potential 7350K-based pre-built machines only to be told they weren’t expecting to create any. The issue is that a full quad-core Kaby Lake i5 is the same price as the i3 7350K and that makes any recommendation a real tough ask. I was hoping the extra operating frequency, further enhanced by the chip’s potential for overclocking, would make up for the fact that as a dual-core, quad-thread CPU it would be weak in productivity tasks. I was hoping that with a hefty clockspeed bump it would be awesome in games where single-threaded throughput is greedily lapped up. No such luck. While operating slower, cooler and more power efficiently the equivalently-priced Core i5 7400 is also able to post the same level of gaming performance as a 7350K running at its ragged limits. There’s also the fact that to get the 7350K running at that speed you need to have it slotted in an expensive Z270 motherboard. The Core i5 7400 can happily run in a cheaper H270 board because it needs no overclocking support to post its gaming frame rates. 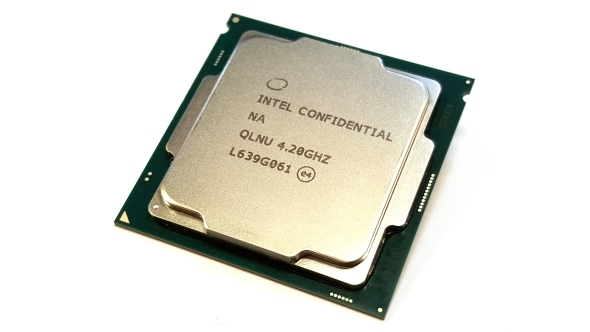 The Core i3 7350K then is not the great budget gaming CPU many of us were hoping for. It’s expensive for what it is, requires a high-end motherboard to reach its almost irrelevant overclocking potential and at the end of the day is still just a dual-core processor. This is not 2005, Intel.